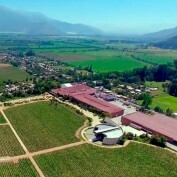 Viña Errázuriz consolidates as quality leader in James Suckling’s new Chile Report entitled “Chile’s tale of two cities” published in April 2019. With outstanding scores across its ranges, international wine critic highlighted Errázuriz’s icons, wine sourced from Aconcagua Costa and its flagship ranges, positioning as a quality benchmark for Chilean wines. “Great aromas of dried strawberries and fresh flowers, such as lavender. Full-bodied yet very tight and focused. Impressive tannic structure, but refined and polished. Lightly chewy. Finishes tight and refined. Best pinot of Chile. Drink after 2022, but hard to hold back.